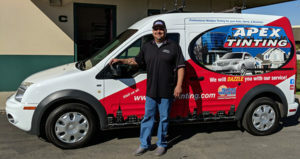 You will get the fastest, cheapest and most efficient windshield repair in Paso Robles by contacting Apex Auto Glass. Our company’s goal is to make you 100% satisfied with our services of windshield repair and replacement. We offer a great experience. 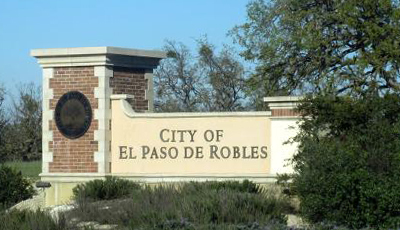 Check out our services in Paso Robles right now! If it can be repaired, we will do it! Our guarantee is that every Technician from our company will fix any chip or crack as long as it can be repaired. Sometimes our customers tend to believe that the chip in the windshield or lateral window is too big and they have to spend hundreds of dollars in order to replace it. Fortunately, many times our Technicians can solve the problem and avoid such costs. If, however, the chip is too big to be fixed, our team of Technicians will be glad to help you choose the right windshield or window for your car, and will replace the cracked one for you. Just call us and we will set a quick appointment with you. Many times, a small chip or crack requires fast action, so it won’t have time to expand and become irreparable. This is why we get to our clients as quick as possible in order to avoid them having to deal with large costs. If the chip or crack in the window is relatively small, not only can it be fixed without having to change the window, but also the process won’t take long; usually it takes our qualified Technicians about 15 minutes! A windshield does more than you think. It doesn’t only protect you from rain or snow, but it also prevents insects, dust & debris from hitting your face, as well as keeping the airflow around the car, so it won’t hit you directly, taking your breath. This is why having an intact windshield is vital for your safe driving ability. We will offer you a FREE windshield assessment and tell you if it can be repaired or if it requires replacement. One more thing! Bookmark this page right now so you know where to get help for Windshield Repair or Replacement in Paso Robles, 93446, 93447.